Breakthrough "semantic search" techniques are already transforming Google ™'s search results. If you want to be found, yesterday's SEO techniques won't cut it anymore. 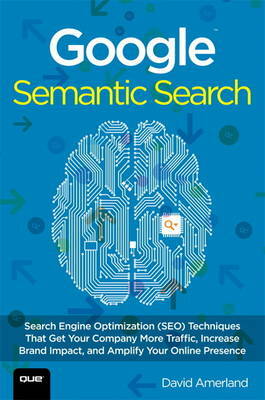 Google Semantic Search tells you what to do instead-in plain English. David Amerland demystifies Knowledge Graph ™, TrustRank ™, AuthorityRank ™, personalized and mobile search, social media activity, and much more. Drawing on deep knowledge of Google's internal workings and newest patents, he also reveals the growing impact of social networks on your SEO performance. Whether you do it yourself or supervise an agency, this is your complete playbook for next-generation SEO!